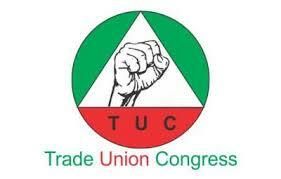 The Trade Union Congress of Nigeria commends the judiciary and Nigerians over the recent rulings by Justice Lateefa Okunnu at the Ikeja High Court, that sentenced the Managing Director of Ontario Oil and Gas Limited, Mrs Adaoha Ugo-Nnadi to 10 years in prison for defrauding the Federal Government of N754 million in oil subsidy transactions and that of a Federal High Court in Abuja, asking for the forfeiture of Oil Prospecting Licence (OPL 245) to the Federal Government until investigation and trial of suspects are concluded. These are good signs of our speedy recovery if we faint not and we urge the anti-graft agencies to investigate other people involved in the subsidy fraud, other financial crimes and bring them to book. Hurts that while Nigerians are groaning and asking for the basic things like food, infrastructure, job, etc. some greedy Nigerians under the guise of oil marketers are milking the country dry. The Congress is of the opinion that these culprits start paying interest on whatever amount of money they have stolen henceforth. Returning the actual is not good enough. For instance, when the said money was stolen a dollar was less than N200 but today a dollar is equivalent to N500. The money will help to fund our national budget, especially now that one cannot predict oil price in the international market. The economy is on its knees today because institutions saddled with the responsibility of curbing corruption had been sleeping. This impunity has to stop. We are expecting more of this from this administration. No stone should be left unturned in the fight against corruption. Nigerians are asking for justice. Yes, the blood and families of citizens who have died in car accidents as a result of bad roads that were left unattended to and pregnant mothers who have also lost their lives due to lack of good medical facilities are crying for justice. These monies could have to some extent helped to build infrastructure, create jobs, reposition the economy. We are truly happy about this development and hope to see more of it. It just can't be business as usual.